First offered in November 2008 and still somewhat popular, the HP Mini 1010NR has been out shined and outdated by improvements in netbook technology that were made available to the consumers in less than a year. 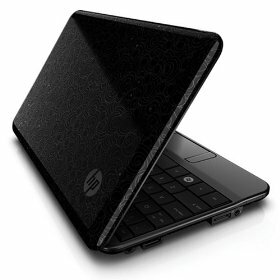 With 1.60 GHz Intel Atom Processor N270, 512MB RAM, and 3 Cell Battery, the HP Mini 1010NR seems underpowered. Even the 8.9″ screen which was so trendy last Christmas seems passé since many more models are touting 10.5″ or bigger. It does have a 8GB Solid State Flash Module Drive. But that’s not a lot of space by most user’s multimedia demand (video, pics, music, video games). Even for a netbook, users at the very least must be able to store videos, pics, movies, etc. So why would you buy the HP Mini 1010NR? 300 bucks! Yes, this netbook can be yours for $300, sometimes less. So knock yerself out.